Solomon was born to David and Bathsheba after the death of their first child, and his name, which means “peace” or “peaceable”, suggests that he was foreordained to do a special work for God. He comes into prominence when, towards the end of David’s life, his eldest surviving son, Adonijah (the son by another wife—see 2 Sam. 3:2-5) makes a bid for the throne. 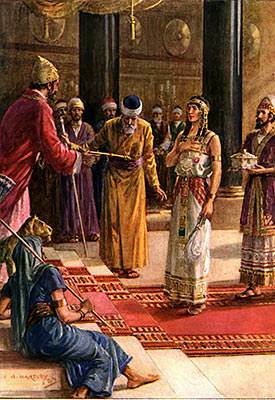 Bathsheba tells David of this plot to overthrow him, and asks him not to delay in naming Solomon as his successor. David therefore orders Zadok the priest and Nathan the prophet to anoint Solomon as king, whereupon Adonijah, hearing of this, takes refuge in the sanctuary. 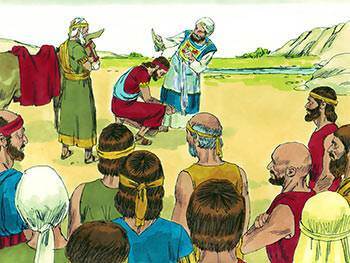 Summoned before the new king, Adonijah bows in allegiance and is sent home unpunished. 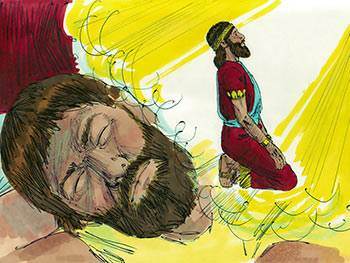 Later Solomon sees Adonijah as a threat to the throne, and orders his execution as well as that of Joab. Have you ever considered that Solomon’s accession to the throne—bringing joy to every true Israelite and despair to Israel’s enemies—is a beautiful picture of Jesus, the son of David, exalted to the throne of glory notwithstanding all who are in opposition. There are other parallels between these two events; see how many you can find. 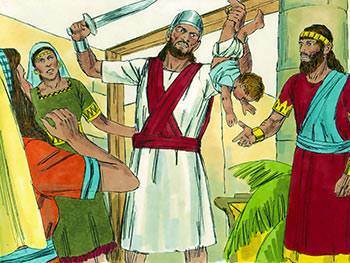 Solomon begins his reign well, and follows in his father’s footsteps by demonstrating a great love for the Lord and offering many sacrifices to Him at Hebron. God appears to Solomon one night in a dream and says to him, “Ask for whatever you want me to give you” (v. 5, NIV). Solomon is deeply aware of his inadequacy as a ruler of Israel and asks the Lord for a wise and discerning heart. His principal concern is for the people over whom he is to rule, and because of this noble attitude, the Lord promises him wealth and honour as well as the wisdom which he requests. 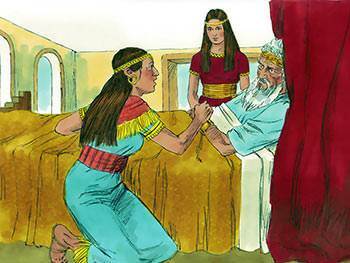 The wisdom which God gives to Solomon is clearly demonstrated in the way he handles the case of two prostitutes who come to him both claiming to be the mother of a certain child. Wisdom prevails and the problem is resolved. If God came to you today and said you could have one of the following, which would you choose? Friends – wealth – knowledge – honour - long life – power – prestige – fame – wisdom – security – happiness – popularity? If it was not wisdom—then your choice would be poor indeed. 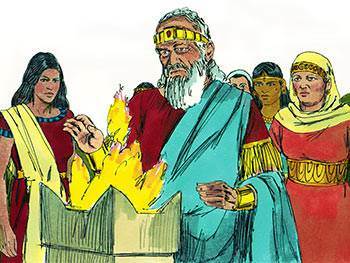 Solomon demonstrates sound organisational ability—no doubt a by-product of the wisdom and discernment the Lord gave him—when he appoints a cabinet to help him govern. He carefully selects the right men and gives them charge over twelve districts, to administer them and collect the taxes. 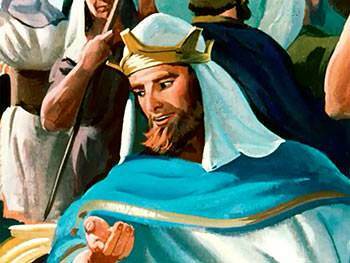 During this period, rulers from all over the world bring Solomon gifts in exchange for the privilege of hearing the wisdom which God had given him. He shows expertise in many directions, ranging from human nature to natural science. 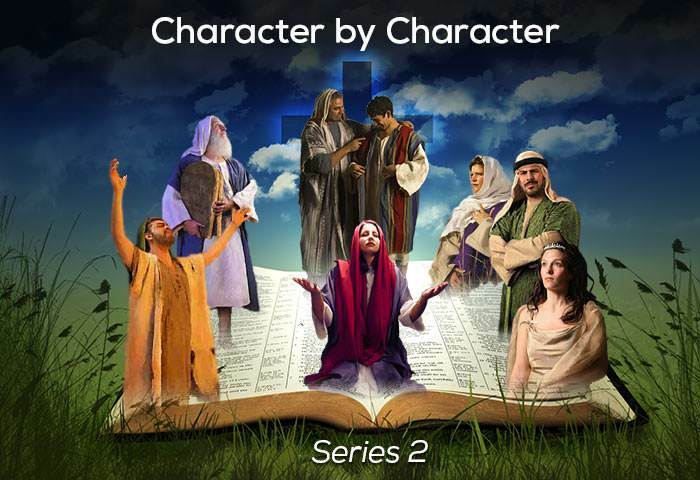 He also undertakes the task of writing, and his contribution to the Old Testament is quite significant—Psalms 72 and 127, a large section of the book of Proverbs, the book of Ecclesiastes and the Song of Solomon. Altogether, he wrote 3,000 proverbs and 1,005 songs (1 Kings 4:29-34). Ever heard the saying: “Be careful what you want when you are twenty, because you will have its fruit by the time you are forty”? Those who make the right choices in early life reap the right rewards in later life. No wonder the Scripture says: “Wisdom is the principal thing; therefore get wisdom” (Prov. 4:7, AV). 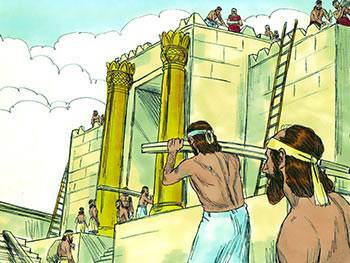 It was King David’s lifelong dream to build a temple to the Lord in the city of Jerusalem, but it was left to his son, Solomon, to realise it. 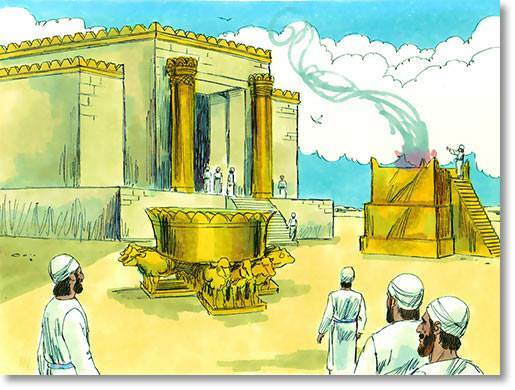 Solomon shares his plans for the building of the Temple with King Hiram of Tyre, a close friend of David’s, and arranges for skilled Phoenician carpenters and stonemasons to prepare durable timber and dressed stonework. He conscripts thousands of Israelites to work alongside these craftsmen, and after seven years the Temple is completed. 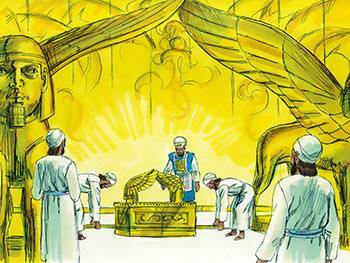 The Ark of the Covenant and the sacred furnishings are installed, and a dedication ceremony takes place in which the Almighty is joyously worshipped and adored. Solomon leads the worship with a powerful prayer and later exhorts the Israelites to be true to the Lord. Solomon’s prayer at the dedication of the Temple is one of the longest prayers in the whole of Scripture. It is preserved, however, not just because of its length, but because of its breadth. Solomon’s prayer is a prayer with wide horizons. Is your prayer life as broad as it is long? 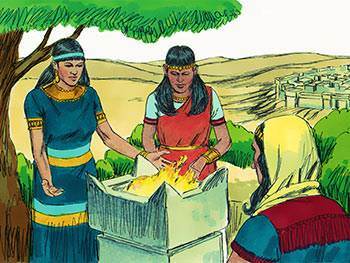 Earlier God had promised Solomon great riches—and how abundantly that promise is fulfilled! He acquires 1400 chariots and 12,000 horses, not for warring purposes but because of the large international trade (10:28-29). 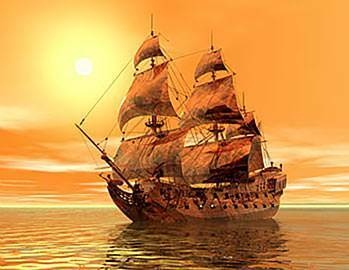 Solomon also has huge fleets, operating in the Red Sea and the Mediterranean, trading goods in the countries they visit. His Phoenician-built ships return from the ports of the surrounding countries every three years, loaded with cargoes of ivory, gold and other riches. Affluence in Solomon’s kingdom is such that silver is not considered to be a precious metal (10:21). Presents flow in from visitors who come from all parts of the world, increasing Solomon’s personal wealth and the prosperity of his kingdom. 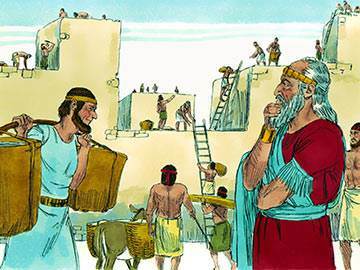 Solomon seems to have had his priorities in the right order—he finished building God’s house before he started work on his own. In other words—God first, himself last. Does that principle hold sway when you establish your priorities? 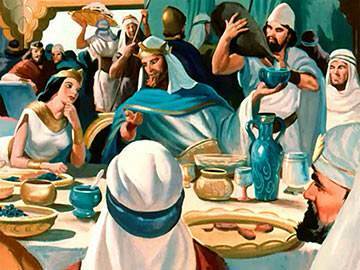 Solomon’s expeditions to other countries in turn brought about closer relations with Sheba, in southern Arabia. The visit is returned by the queen of that region in person—doubtless for commercial reasons, hence the abundant interchange of ‘gifts’. The Queen of Sheba plies Solomon with many difficult questions, but when he answers every one to her satisfaction and she views the magnificence of his court, she exclaims: “not even half was told me”. 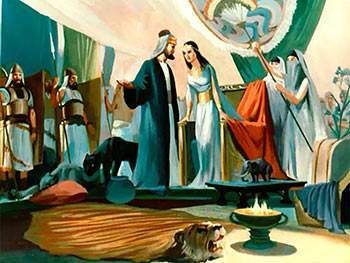 In answering the well thought out questions of the Queen of Sheba, Solomon becomes the embodiment of God’s intention for Israel, and why He raised her up as a ‘special’ people—namely, to take the hand of the pagan nations and lead them to the light and knowledge of the one and only true God. God’s original intention of making Israel a ‘shop window’ through which other nations could look and observe the benefits of serving the Lord, was greatly hindered by the sin and wilfulness of the people. Today God’s ‘shop window’ is His Church—and the world is looking in. What, we wonder, do they see? When Solomon was young, he was so devoted to the Lord that he probably considered himself immune from the danger of marrying foreign women who worshipped idols (Exod. 34:12-16). However, Solomon took wives from the Moabites, Ammonites, Edomites, Sidonians and Hittites, acquiring a harem of 700 wives and princesses, plus 300 concubines. Because he failed to maintain order in his home, his foreign wives practised idolatry and set up various shrines in and around Jerusalem. Solomon accomplished his goals of increasing foreign trade but overestimated his strength to resist the evil ways of his wives. The diligence with which he maintained orderliness changed from a positive force to a negative one, and marred his final years with disillusionment and despair. How could one so wise turn away from following the Lord and become an idol worshipper? One thing is sure—it didn’t happen overnight. All spiritual backsliding takes place by degrees. Be careful about the first step away from God—for one step soon leads to another. 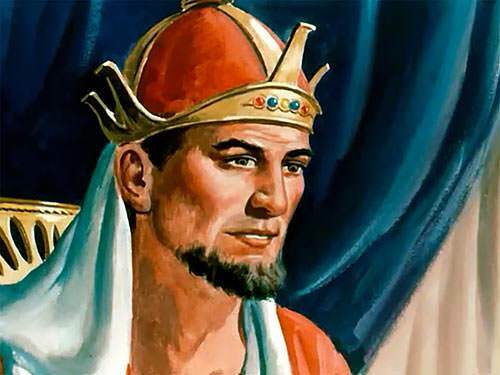 From a merely national and secular point of view, Solomon was without doubt one of the greatest kings of Israel. The impression he made on his contemporaries was quite astonishing, and the age in which he lived has been described as the Augustan age of the Jewish nation because of his attempts at getting the whole world to see the benefits of serving the true and living God. His prayer for wisdom was obviously abundantly answered, but although he began well, he allowed things to go on in his household which eventually brought about his downfall. The empire Solomon built crumbled soon after his death, because he had become preoccupied more with projects than with people. This, then, is the main lesson we learn from his life: we must be careful that we do not fasten upon things, and let them become more important than people. Solomon belongs to the peculiar class of those who begin well, and then have the brightness of their lives obscured toward the end. His morning sun rose beautifully, but it sank into a dark and depressing night.